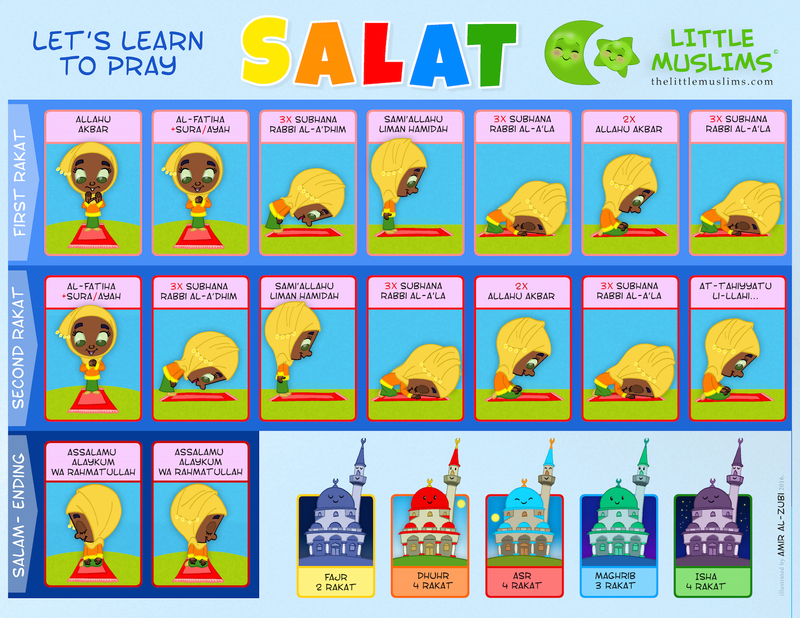 The two-sided Short Surahs poster from the Little Muslims series teaches the Five Short Surahs (Ikhlas, Falaq, Nas, Fatiha, Kawthar) with Arabic transliteration and English meaning. 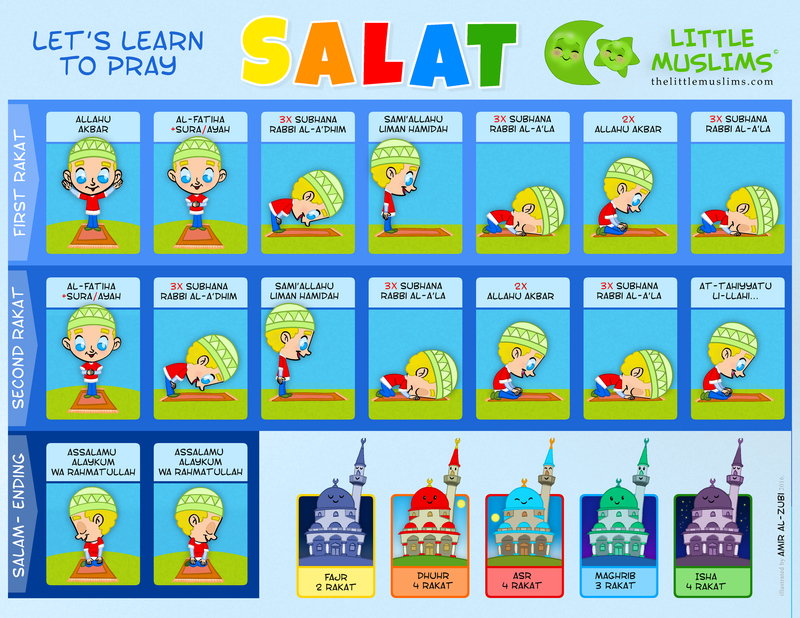 It is so cute and simple, your little Muslims will love learning the surahs! 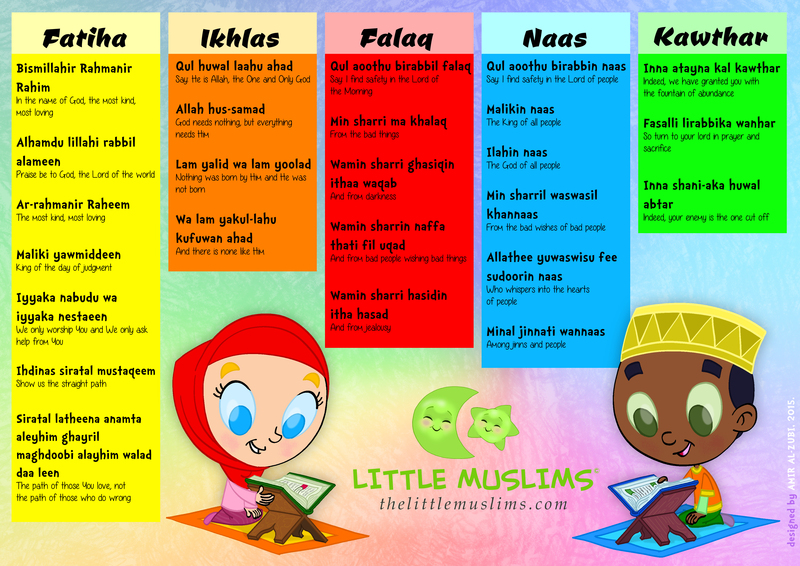 It is LAMINATED: so you can tape it anywhere in the house or at the masjid and change its place as many times as you like + they can splash all they want + they can even use markers on it while they are learning the surahs.